African American Family Advisory Council Presents: Born Brilliant! Please join us on Tuesday, April 23rd from 5:30pm-7:30pm at Washington Manor Middle School for an evening of celebration of our African American students! The AAFAC is giving all of our African American students a certificate of recognition to honor the fact that every single one of our students is “born brilliant” and has gifts and talents of many kinds. 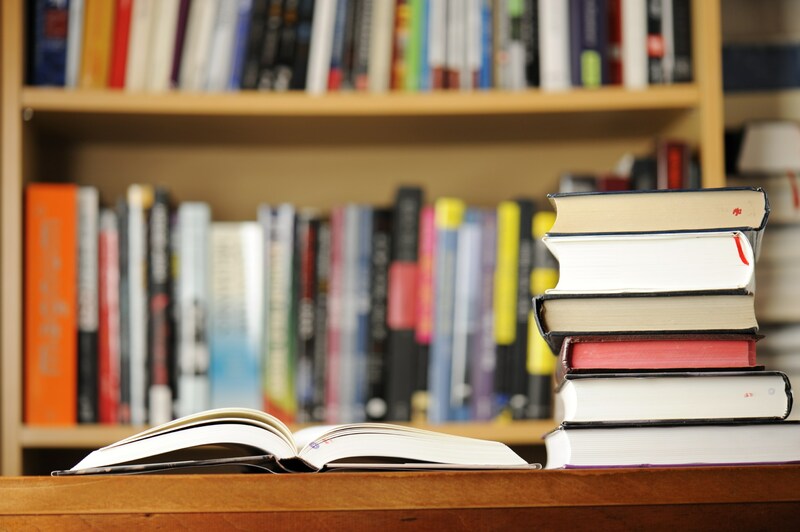 At this event, we will talk about the roles we all play in keeping this brilliance alive in our children, and have invited guest speaker Tovi Scruggs-Hussein, former principal of San Lorenzo High School, and current Regional Executive Director of Partners in School Innovation. 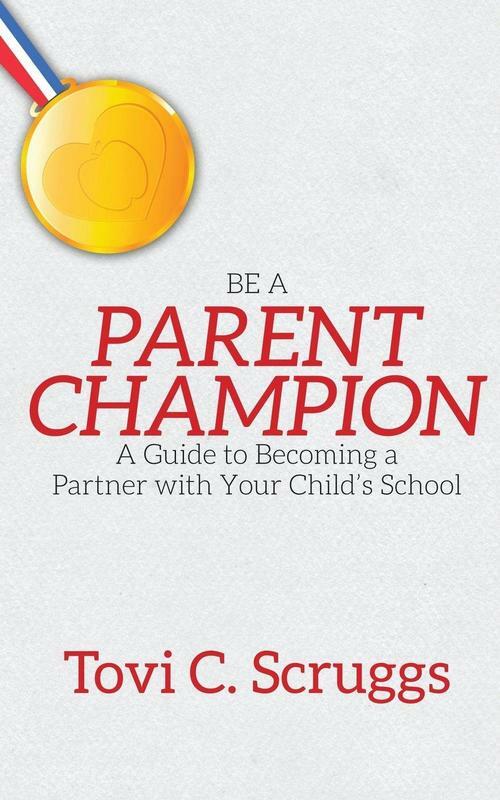 Ms. Scruggs has written a book called “Be a Parent Champion,” which outlines successful strategies that parents can use to continue to nurture their talents and skills and build up student confidence and courage. 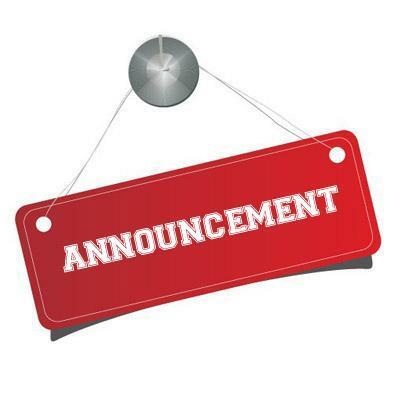 The Governing Board is currently recruiting for the position of Student Board Member for the 2019-2020 school year. 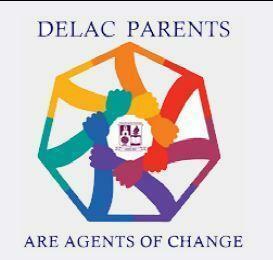 Our next DELAC meeting will be held April 24, 2019, 6:00—8:00 pm (dinner at 5:30) in the District Board Room 15510 Usher St. San Lorenzo. 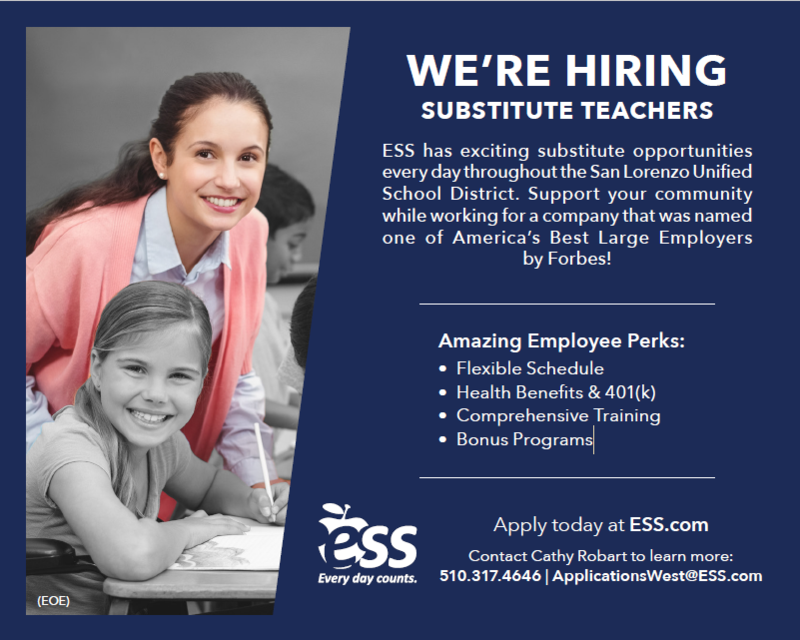 San Lorenzo Unified School District has partnered with ESS, a leading education staffing company that places talented substitute teachers and support staff.